Say buh-bye to bacon and smoothies, and hello to these goodies. There’s nothing like a push-you-to-your-limit workout that leaves you feeling accomplished—and starving. While burning a ton of calories (with the Aaptiv app) in a cardio-heavy sweat sesh might tempt you to reach for anything in sight, experts advise that you tread carefully with what you nosh on during your cool down. 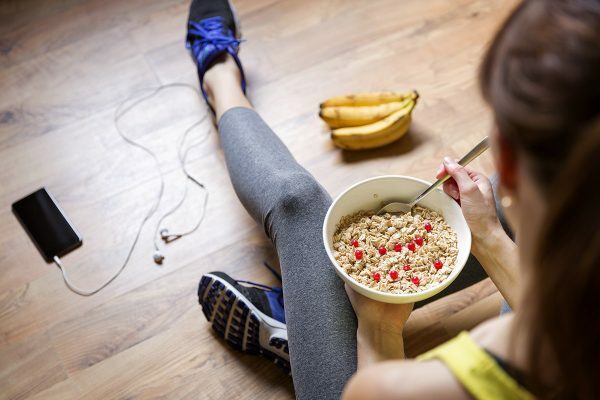 “A healthy post-workout meal is important to refuel your body and replenish key nutrients lost during exercise,” says wellness expert and chiropractor Dr. Kevin Kinney. Choosing foods that don’t offer proper nutrition may slow down your metabolism and further deplete your electrolytes. Here’s some advice for picking and choosing your post-workout snacks. Skip the chips and opt for whole grain crackers with nut butter, instead. Perhaps because they’re a blast from your childhood or because their savory flavor always seems to hit the spot—chips are a snack favorite. Sports Dietitian Natalie Rizzo, MS, RD explains that your body does need sodium after vigorous activity, but the added grease of standard chip brands is unnecessary. If you still want a bit of a crunch, Rizzo suggests snacking on whole grain crackers. Pair them with a nut butter, like peanut or almond. “This gives you a few carbs and some protein to make up for what you used during the workout,” she notes. Skip a fruit smoothie and opt for a vegetable version, instead. While trendy—and Instagram-friendly—fruit smoothies have a super-high sugar content that’s not a smart choice after working out, according to Sajani Shah, MD, FACS, the director of the Weight and Wellness Center at Tufts. If you still want to slurp your post-workout snack, choose a vegetable-heavy concoction that doesn’t present that same sweetness. The right mix of carbs and protein (this is our favorite brand) will maintain your blood sugar and help your body recover, Shah says. Some high-carb veggies to consider are beets, squash, peas, and sweet potatoes. Skip the bacon and opt for a steak, instead. If you plan on enjoying a post-workout brunch, Kinney says to pass over the processed meat for cleaner sources. Part of working out and building strength means that you make small tears in your muscles. Kinney says fresher meats, like grass-fed steak, will provide the protein needed to rebuild those muscle fibers and prep you for tomorrow’s boot camp class. Skip the alcohol and opt for water, instead. Sometimes a glass of wine seems just-about-perfect; and sometimes, nothing sounds better than a strong cocktail post-boxing. You put in the work after all! While both fitness and drinking are often social activities, Rizzo suggests delaying your alcoholic reward for at least one to two hours post-sweat. During this recovery period, your body is aching for hydration. Good ‘ole fashioned H20 will help replenish your body, while booze further dehydrates you. If you’re still hankering for a cold one in a handful of hours, Rizzo suggests a single beer to curb your cravings. Skip the raw vegetables and opt for eggs and avocado, instead. Vegetables might always seem like a no-brainer for a well-balanced diet, but Shah argues the contrary. She explains that sometimes they’re simply not enough, especially if you finished a cardio-heavy routine and find yourself thoroughly hungry. Veggies are a minimal-calorie food and they don’t include enough protein. A veggie-filled omelet is a better post-workout choice since it provides muscle recovery and growth. Good news for avocado-lovers: Shah recommends a side of avocado since it provides the benefits of healthy, monounsaturated fats. Skip a burger and fries and opt for chicken or fish, instead. So, you finally sped up your pace-per-mile while training for your upcoming half-marathon, and you can’t wait to celebrate with something delicious. Kinney says a “fast-food cheat meal” might seem like fair game after an impressive fitness achievement or intense workout you did on the Aaptiv app. But the empty calories of a burger and fries will negate your hard work, he adds. Because they’re high in fat—specifically trans-fat—they can actually take your metabolism from super-high to flat line. Instead, Kinney says to reach for a lean option, like chicken or fish. “These will provide a great source of protein and healthy fats for your body without slowing the momentum you’ve built in your metabolism,” he explains. Fill up on these post-workout snacks or others like them to keep your body healthy, happy, and progressing towards your goals. 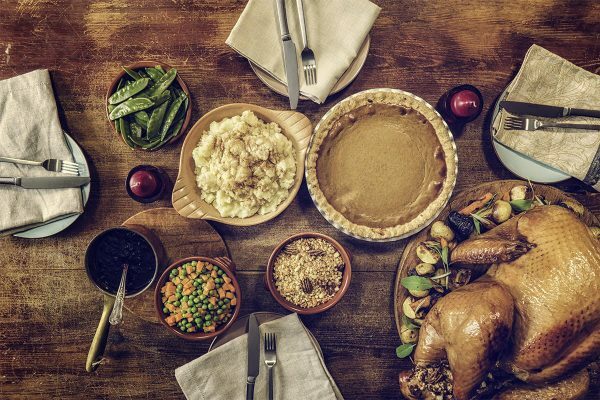 Dietitians break down why we should actually eat more of our Turkey Day favorites. Nutrition plays a bigger role in hitting that PR than you may realize.